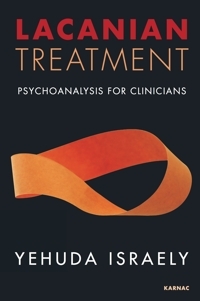 Yehuda Israely, PhD, is a clinical psychologist and psychoanalyst. He teaches at the Tel Aviv Forum of the Lacanian Field; is a member of the School of Psychoanalysis of the Forums of the Lacanian Field (EPFCL), has a private clinic in Tel Aviv and is CEO of Moebius-Psychological Services. Previous books include Jacques Lacan’s Philosophy and Psychoanalysis (Modan, 2007), and Mesopotamia: The Silence of the Stars (Am Oved, 2010), written in collaboration with Dor Raveh, which was awarded the 2011 Geffen Prize.